You can stream music, pictures and video to your Xbox 360 console from your computer by using Windows Media Player, Groove or Films & TV. Note For more information about using Windows Media Center to stream content from your computer to your console, see Xbox 360 Windows Media Center support. From Xbox home, go to settings, and then select System Settings. If the network status shows as Connected, go to Step 2, below. Otherwise, select More Info on your console and follow the suggestions. Which version do you want to use? In Windows Media Player, select Turn on media streaming from the Stream menu. On the page that appears, select Turn on media streaming. Name your media library, and then select OK. In Windows Media Player, right-click Library, and then select Media Sharing. Select Share my media, and then select OK. In Sharing Settings, locate the Xbox 360 device. Select Xbox 360, Allow, and then OK. If you want to apply more options, select Settings. When you've finished, select OK.
From Xbox home, go to music, and then select Groove Music. Select the playlist of songs you want to play. 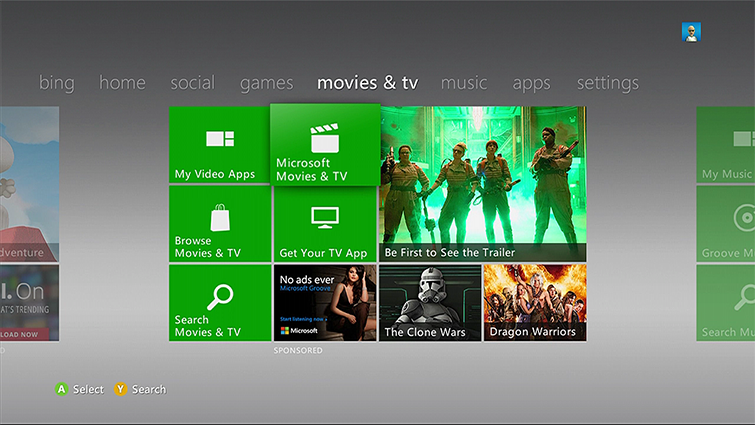 From Xbox home, go to films & tv, and then select Microsoft Films & TV. Select the video you want to play. 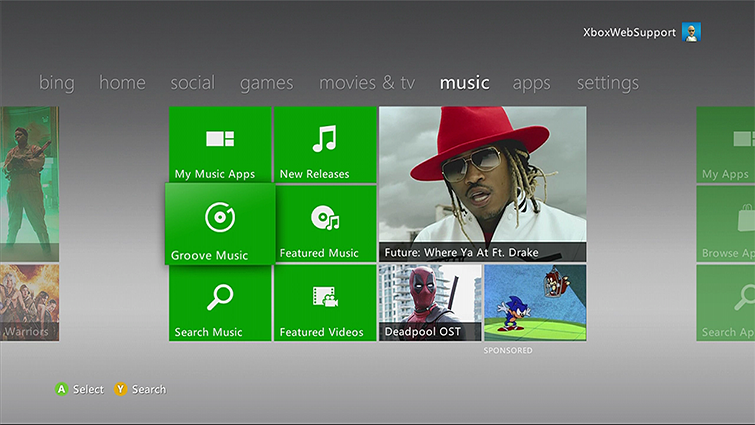 For more information about using the Groove app, see Groove app on Xbox 360. To learn more about the Films & TV app, see Films & TV. Would you like to contact Support regarding the "Stream media using Groove, Films & TV or Windows Media Player with Xbox 360" issue you were reading about or a different issue?